Recently I had to miss a holiday to Istanbul after I contracted some sort of norovirus. 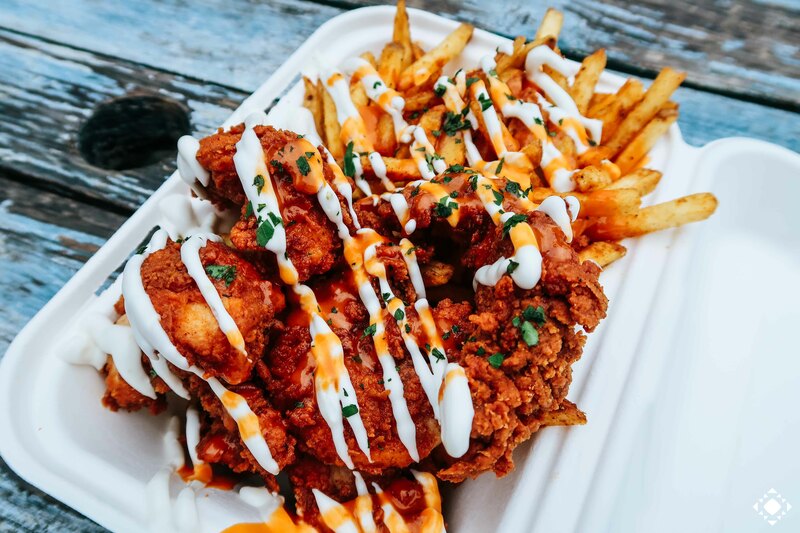 During my steady illness induced diet of plain (boring) potatoes/rice/pasta all I could think about was indulging in juicy, crispy, fried chicken. And I knew exactly where I’d be heading as soon as I was fit to do so. 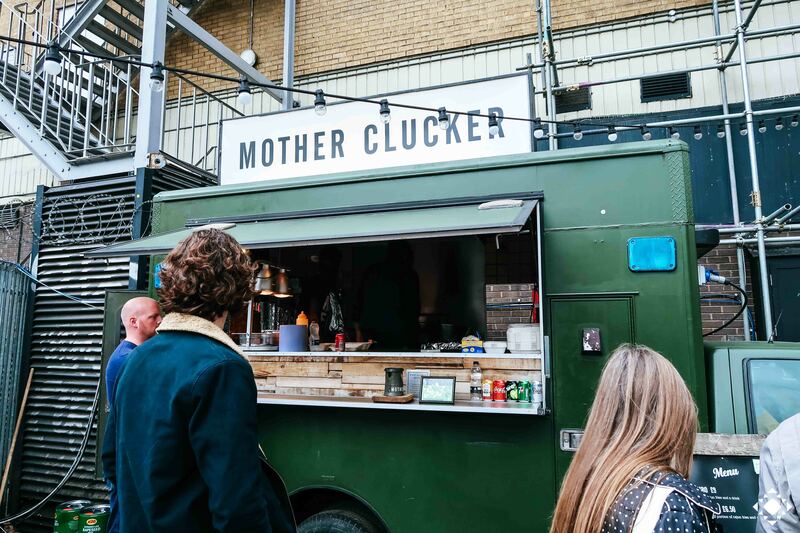 Having binged on Netflix all week I thought it was time to brave the outside world and headed to Mother Clucker’s van (which is a converted US Army ambulance) located in Ely’s Yard next to the Old Truman Brewery. The tea brined, buttermilk soaked, twice battered fried chicken is at the heart of the concept. The menu is pretty straight forward with a choice of chicken strips or a chicken burger as your main. 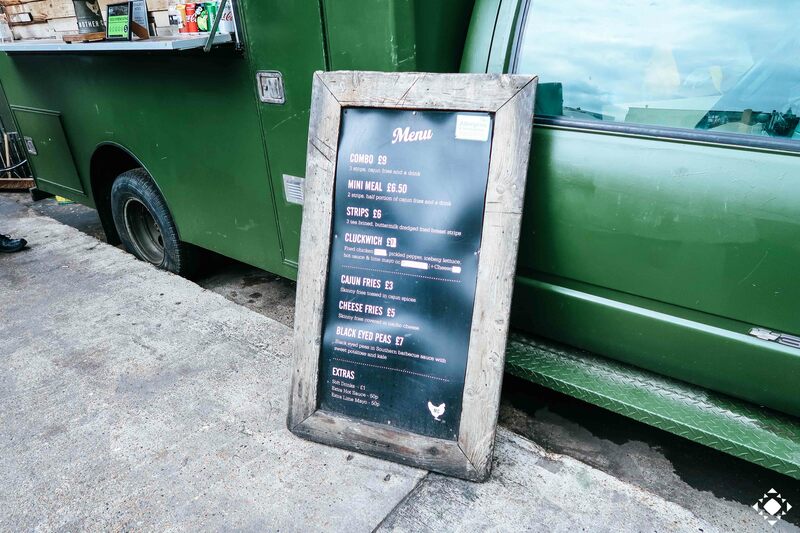 Sides include Cajun Fries (£3.00), Cheese Fries (£5.00) or Black Eyed Peas (£7.00). Drinks are priced at £1 each and sauces at 50p for a tub of either hot sauce or lime mayo. I opted for the ‘Combo’ which was three strips, cajun fries and a drink. I asked for hot sauce and lime mayo on top and they added a touch of parsley too. The chicken was beautifully crispy on the outside and juicy on the inside. The cajun fries were cooked well and the sauces added a bit more spice to them. The chicken strips were generous in size and the whole thing worked so well together. 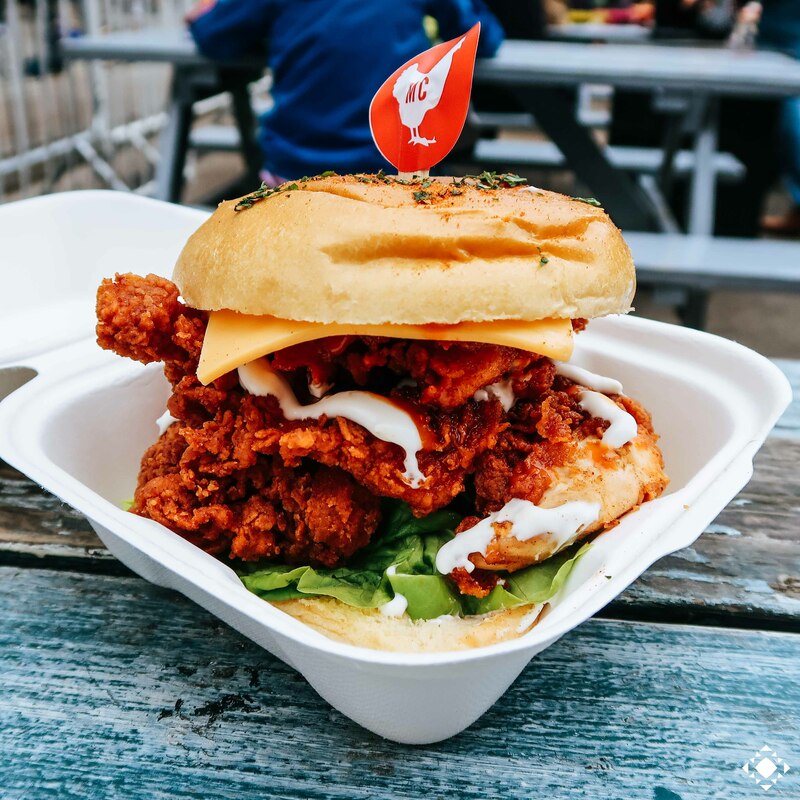 It’s easy to say that Mother Clucker has become my favourite fried chicken spot in London. I did wonder whether it was priced a little too high at £9.00 and I’m still undecided though given the quality of the chicken I think the price may just be justified. My cousin ordered the ‘Cluckwich’ which was a burger made up of fried chicken, pickled pepper, iceberg lettuce, hot sauce and lime mayo on a brioche bun. She added cheese to her burger at an extra cost. The same crispy chicken was used in the burger and the chicken strips were so big that it was difficult to eat the burger without it falling out. The burger tasted great but I was disappointed with how incredibly thin the brioche bun was. I would recommend the burger and do think it’s one of the best halal fried chicken burgers in London but I wish they’d use thicker brioche which would make the burger easier to eat/hold. Halal Status: Chicken served is halal.